My New Year's Resolution is to stop running into things. And to stop spilling things, breaking things, and flailing my lanky limbs around, while simultaneously creating mass chaos and destruction every time I enter a room (I'm a little clumsy). So naturally, on the first day of 2015 I stained one of my new place mats with an egg yolk, knocked a burning candle and melted wax all over (and I mean all over) my kitchen in dramatic fashion, and almost broke my boyfriend's nose with my elbow when turning around to tell him something. I like to think it's part of my charm. A much more realistic resolution for me would be to eat more at Japaneiro's in Sugar Land, because y'all? It's awesome. 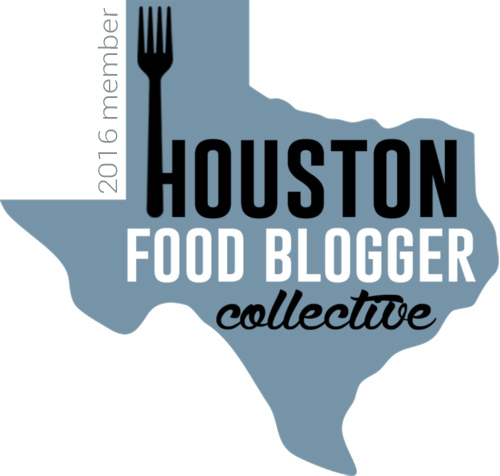 So awesome that I might venture to say it's the best sushi I've had in Houston. Of course take this with a grain of salt in that I: a) am a vegetarian, and b) have not been to Uchi or Kata Robata yet. (*wince* I KNOW). But as a vegetarian, I've gotta say Japaneiro's wins for the variety and creativity of their vegetarian options. But you should know that my non-veg dining companions were singing their non-veg entrees' praises. I went to Japaneiro's recently with my boyfriend Jon, his sisters Joanna and Jaclyn, and their families. Apparently this crew has been frequenting the sushi/latin fusion spot for years, and with good reason! 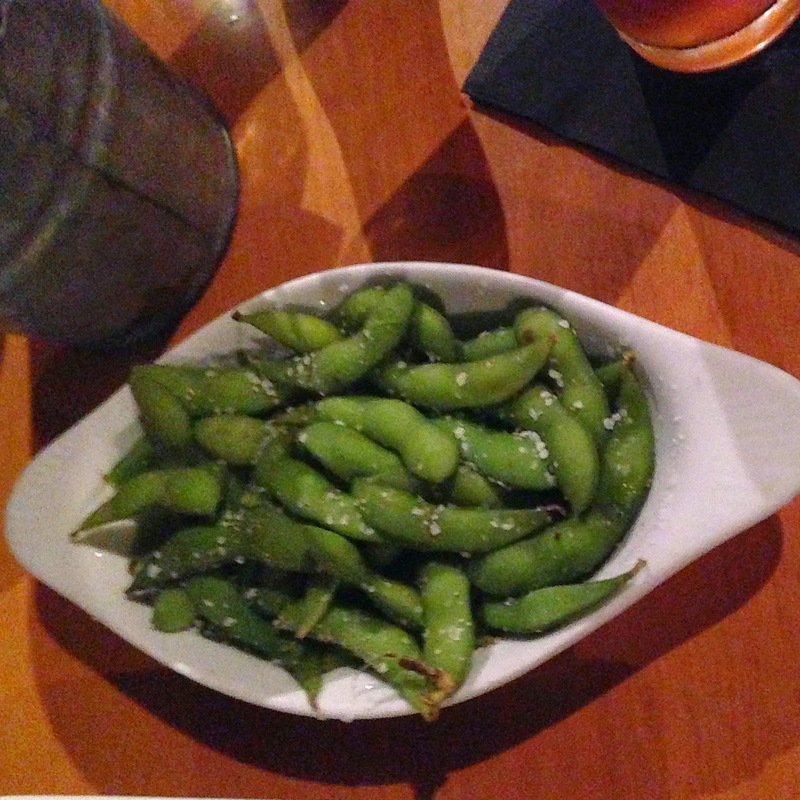 To start, Jon and I split an order of edamame, which came out piping hot and super duper salted (which I love). It's hard to mess up edamame, and the edamame at Japaneiro's delivered. 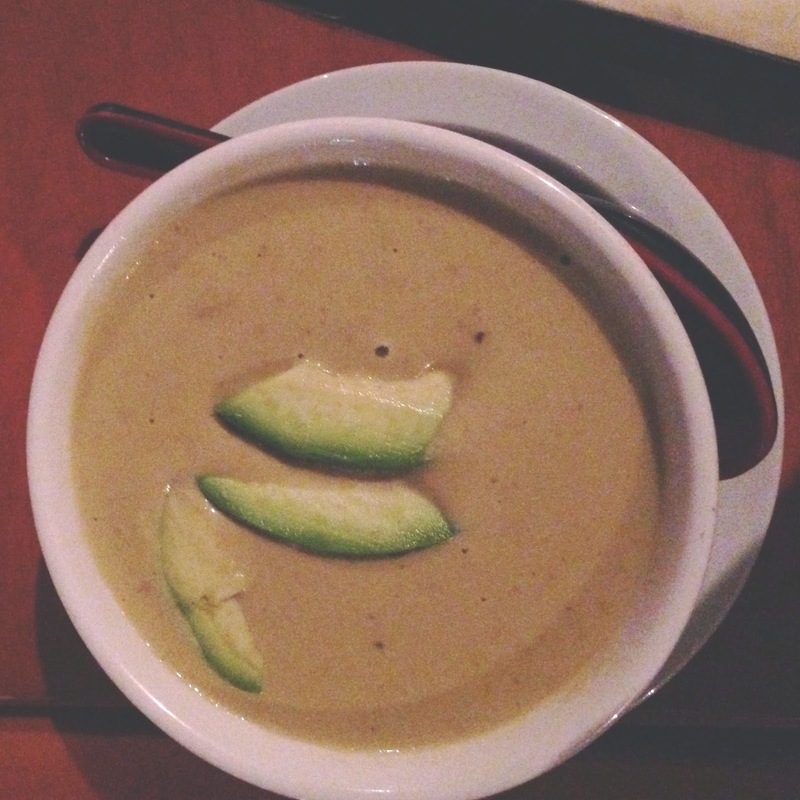 Next up, I ordered the avocado cream soup (sans crab) because Jaclyn assured me it might be the best decision of my life. Spoiler alert: She was right. The soup was rich, creamy, and decadent. But be warned, it is definitely filling. If you are getting it as an appetizer you may want to split it with someone. But holy moly, it was awesome. Japaneiro's has a whole section of the menu dedicated to vegetarian rolls. And while the standard avocado roll and cucumber roll are on the menu, I was able to choose more creative and exciting options like the sunkist roll and veggie shinoda roll. 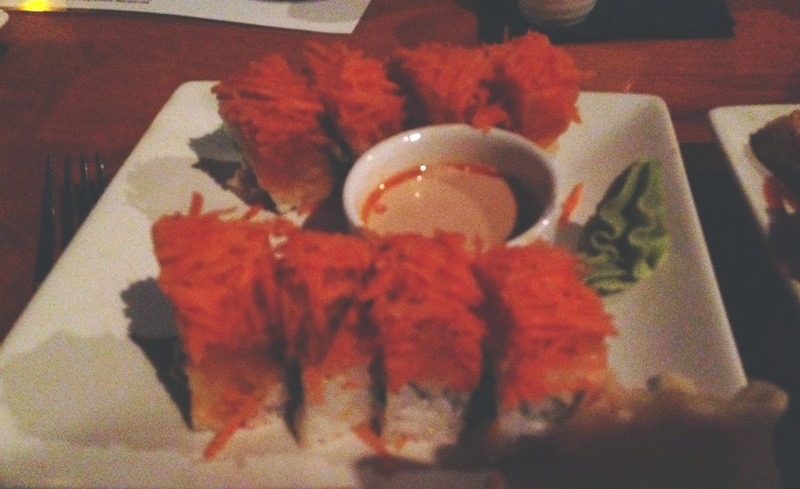 The inside of the sunkist roll is filled with fried tofu, avocado, steamed asparagus, and seaweed paper, and it is topped with steamed sweet potato, shredded carrots, and chilli powder. If that doesn't sound exciting and healthy all at the same time, I don't know what does! The soft creamy avocado, light sweet potato, and crunchy carrots are the major players in this roll. It's super fresh, super dazzling, and the serving is quite generous. If the sunkist roll is the healthy exciting roll of the vegetarian menu, then the veggie shinoda roll is its [much, much, much] less healthy counterpart. But if the veggie shinoda roll is wrong, I sure as heck don't want to be right. The veggie shinoda roll is "a medley of vegetables cooked in a crispy tempura shell dressed in a mix of sweet and mildly spicy sauces". And when they say "dressed" in a mix of sauces, they mean "drenched" in a mix of sauces. When they say "cooked in a crispy tempura," they mean "quadruple-fried in an explosion of savory, pleasure-inducing goodness." This roll is seriously out of this world. And it definitely could be an entree in and of itself (well, if you're anyone but me). I savored every single bite of this amazing dish. The sauces were smooth and flavorful, the vegetables were grilled perfectly and popping with color, and the tempura was rich and indulgent. Even if you aren't a vegetarian, I am making an incredibly strong case here that you should try this dish. The shinoda roll at Japaneiro's is hands-down the greatest veggie roll I've ever had. U N R E A L .
I highly recommend taking the short trip outside the loop to Sugar Land's super hip Town Square (think City Centre, but 10 times more exciting) to visit Japaneiro's. 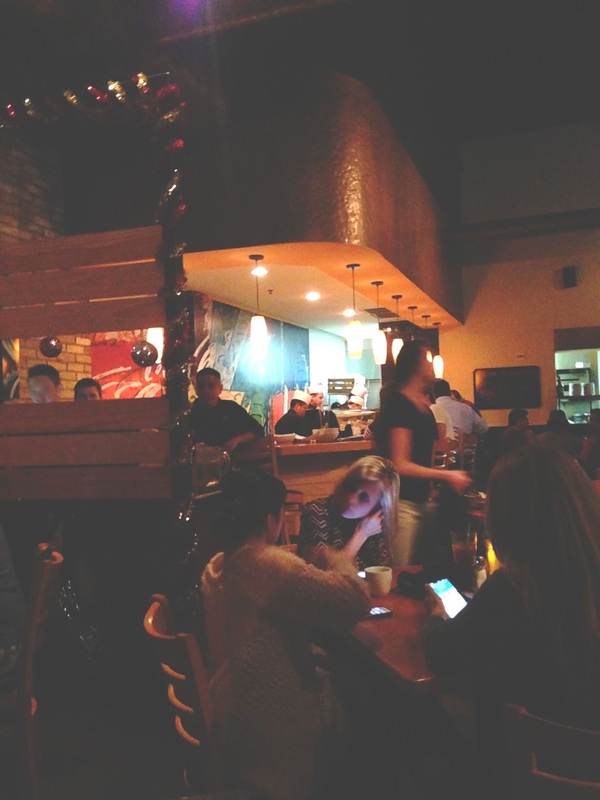 The atmosphere is fun, and the food is a major treat! ^ Yeah, that's definitely a resolution I can get on board with.